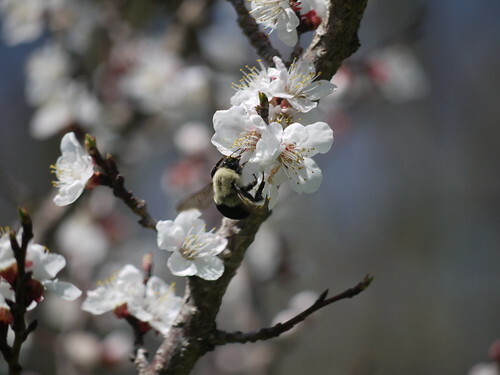 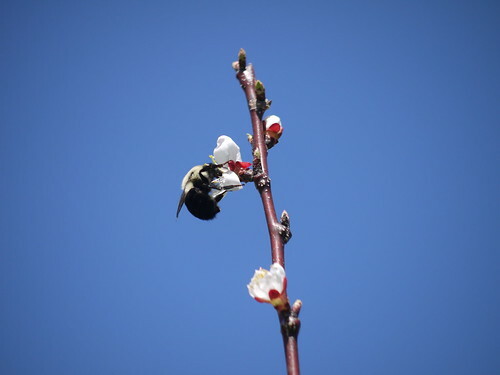 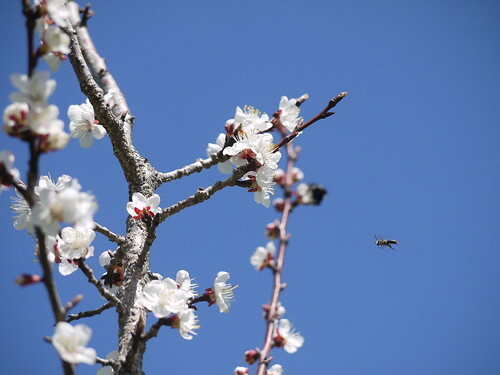 Flowers and our orchard are blossoming and the pollinators are busy at work. 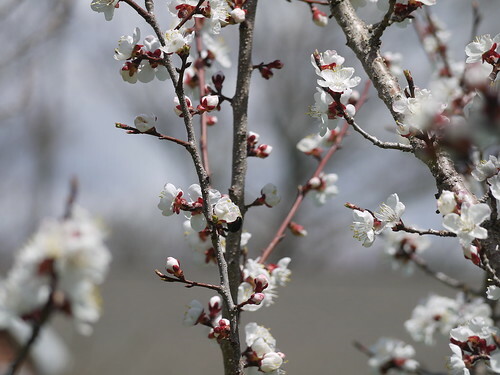 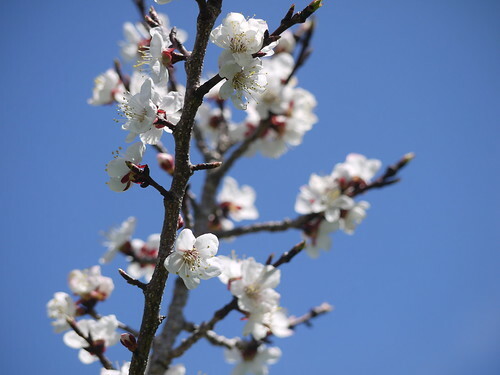 The dwarf apricot trees (Stark® SweetHeart™) are some of the earliest and prettiest. 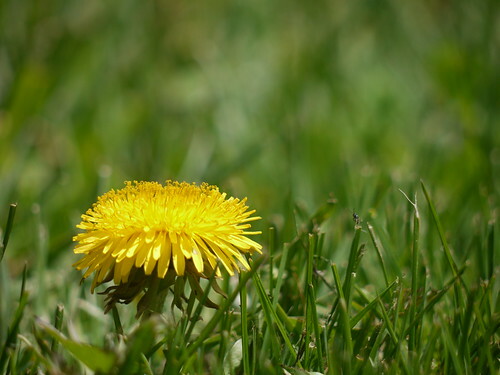 This is one of my favorite times of year.